In the capitalist civilization the acquisition of material wealth appears to be a more important value than that of democracy. In fact, governments often consider certain democratic practices as conspiratorial acts, even performing a political, economic and cultural persecution towards those who think differently and express themselves. This implies that the meaning of true democracy is not simply the clean elections system which positions the governments in the Power through overwhelming electoral triumphs, but rather it is the exercise of ethical and socialist principles that are pro-democratic. The Buddhist Spirituality defines democracy as a political, economic and cultural system of Liberty that continually fights against the perversion of Power. Thus, the metapolitical theory of Spirituality discriminates the democratic ideals from mere electoral processes that are periodic, competitive and open, because true democracy is not a guarantee of elections but the direct intervention of the people in the programs and decisions of government, thus overcoming the disadvantages and inequalities suffered by the most oppressed individuals. Definitively, the spiritual master claims that everything what does not comply with the values of Liberty, Equality and Fraternity is not democratic. Suffrage and open elections are then the basic starting point of democracy, but not its central aspect or legitimate core, which is the agreement, responsibility and active participation in the decision-making. A sufficiently democratic practice cannot be carried out every two or four years and regardless what happens in between, but rather there must be a constant control over those who are in Power on the part of the people. For the Buddhist Spirituality, true democracy differs from illusion and deception of electoral democracy, since it is not enough to win transparent elections for holding a democratic legitimacy. To do this, they must be secured the basic conditions of Liberty, Equality and Fraternity of the people during interelectoral periods, by regulating the Executive Power through the Legislative, Judicial, Journalistic and Popular powers. This implies that there must be no prohibitions for the expression of society and there must be a free circulation of information sources alternative to those of government, since the questioning of the official version is a sign of democratic health. 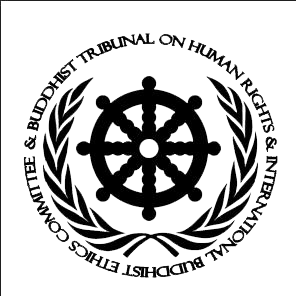 At the same time, the Buddhist Spirituality supports the independency from each of the State powers by protecting the fulfillment of peace, social justice and human rights. Only the empire of the ethical law can protect the citizenry from governmental oppression. Concordantly, the Free and Enlightened Being (Arhat-Bodhisattva) discriminates the electoral origin of a government from the democratic exercise, because while the former is a show of support, the second is its legitimacy. Thus, true democracy is always a respect for the Human Rights, rather than a dictatorship of the majority which thinks it can do anything after having the electoral support. In this way, the Buddhist Spirituality denounces the poor quality of democracy existing in many regimes in the world, even criticizing many which have emerged from the popular vote. The democratic quality is composed of the independent functioning of government, justice and legislation, simultaneously guaranteeing the control performed on the part of the citizenry through journalism and the free critical expression, which allows executing public policies that respond to the welfare of the people. In the Buddhist Spirituality it is proposed true democracy that has the ability to carry out elections regularly, not with the aim to elect representatives but in order to participate in the decision-making at a national and international level, because no ruler is more qualified than any ordinary citizen. In this way, the spiritual master criticizes the democratic legitimacy of many governments around the world, which lack a good democratic exercise even though they meet the minimum legality requirements for obtaining Power. The Buddhist Spirituality then qualifies a country as pseudodemocratic in which the government or executive power directly or indirectly controls the legislative and judicial powers and it performs a control or persecution on the majority of mass media. In this sense, it is denounced that many countries with a democratic electoral system lack a genuinely democratic exercise, by deploying a brutal governmental power that resembles that of the monarchs or dictators. Therefore, the mission of the Free and Enlightened Being (Arhat-Bodhisattva) is fighting for the true democracy of all humanity, denouncing the governmental deception and malfunctioning of justice in order to bring Liberty, Equality and Fraternity to all the people.